EcolightingUK has been specified for the LED lighting at a new build 85,000ft2 PFSweb warehouse in Southampton for client Conexus. Based in Basingstoke, Conexus, which was acquired by global commerce service provider PFSweb in 2016, is a leading consultant and system integrator for omni-channel commerce solutions. Ecolighting says it was chosen by PFSweb for its reduced costs against competitor prices and the efficacy of its fittings. It was recommended for the installation by an existing client to the M&E contractor. 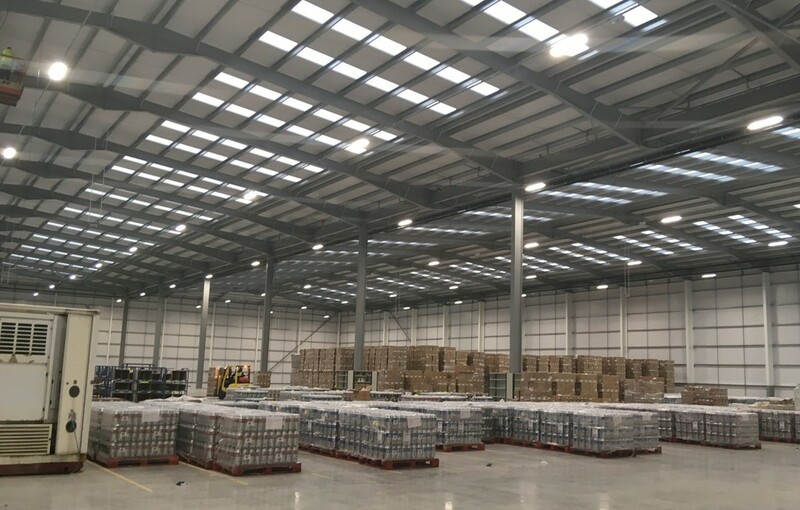 The specification was to provide the brand new warehouse with full illumination as well as full bus bar installation to provide power to luminaires. All luminaires supplied have both daylight harvesting capability and occupancy control. 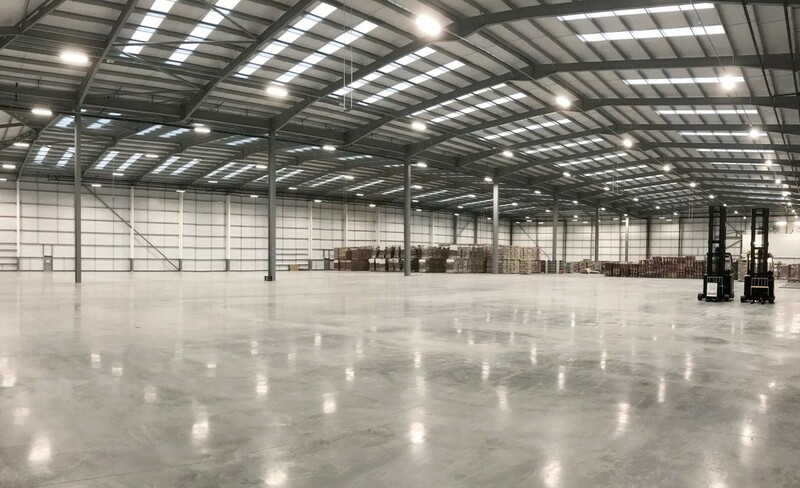 The mainly open area warehouse with a small percentage of racked area was assessed by Ecolighting and 67 240W 120° beam angle and eight 180W 40° beam angle Pegasus LEDs and 32 Altos emergency lighting luminaires were chosen as the best solution. Ecolighting’s compact Pegasus luminaire is a top specification LED High Bay luminaire and one of the company’s most popular light fittings. Encased in a robust yet lightweight and stylish aluminium body, Pegasus uses an Osram driver and top quality Osram LEDs giving 166 lumens per watt and up to 80% energy saving in installations. The sealed dustproof construction prevents access from insects and makes for easy cleaning. The Pegasus High Bay luminaire is used by Ecolighting frequently for a wide range of applications from industrial, warehouses, cold stores and manufacturing to sports halls and retail stores. Ecolighting has its own team of lighting and electrical installation engineers and carries out the lighting scheme design with Relux software in the early stages of client lighting projects. 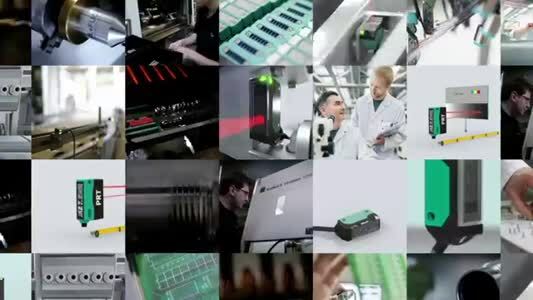 The company manufactures its luminaires in the UK and uses UK-sourced Osram control gear and LED chips. The company is a Carbon Trust Accredited Supplier, assessed to BSEN ISO 9001:2015 and a member of the Lighting Industry Association.